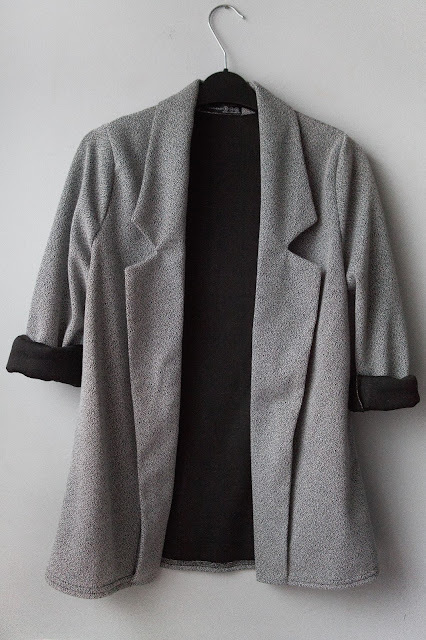 Here I wanted to show an example of how I might style my new Primark blazer which featured in my last haul. It's nice and light and great to throw on over an outfit. Here I've gone for a chic night out look, edged up with this spiked headband that I featured in my very first haul! To break up the very monotone look I added burgundy as an accent colour through the shoes and bag. I love the contrast of textures in this look, the velvet dress with the speckled blazer ontop, with sheer tights, really gives an extra something to this simple outfit. 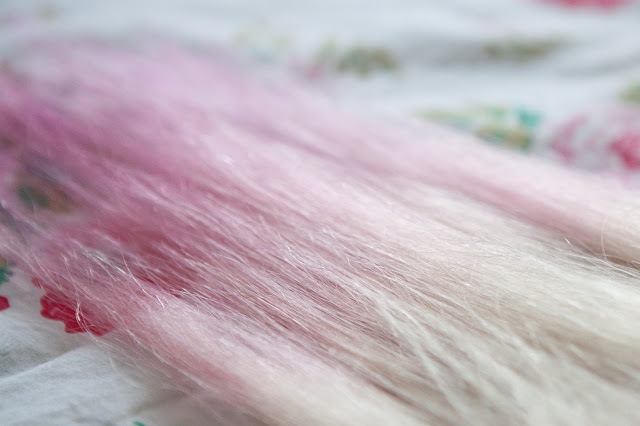 Today I decided to attempt a pink ombre on some cheap hair extensions I bought awhile ago off ebay, but never really wore. I never really wore them for two reasons. One; they were the shade "lightest blonde' meaning yellow, the kind of yellow you would be familiar with if you get your hair bleached. 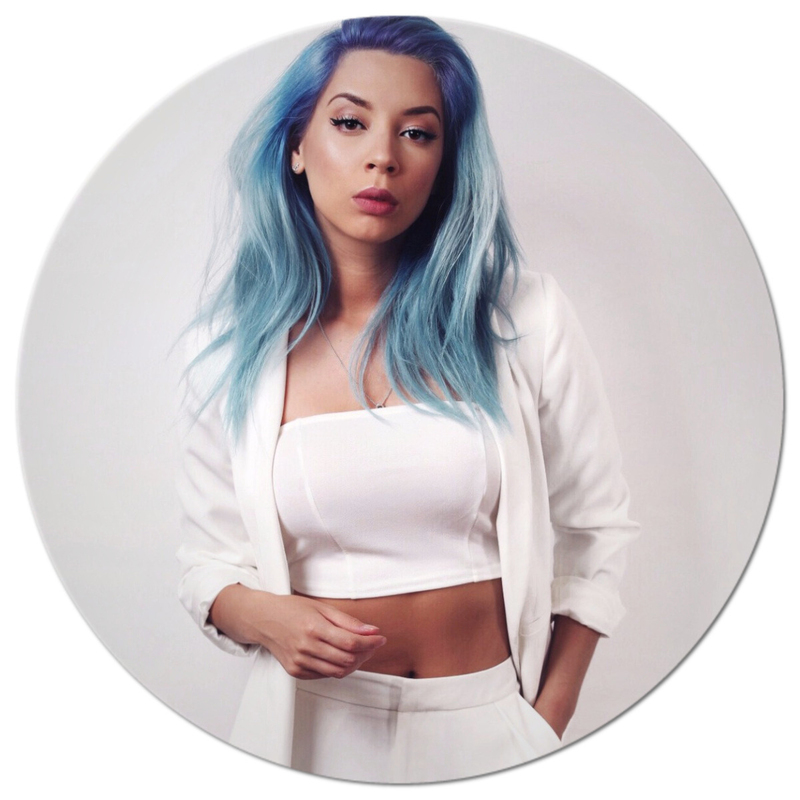 It's the lightest yellow you can go, the shade which is perfect to then tone to go platinum blonde. Two; as they were around £20 for a full head set, they are sooooo thin, especially at the ends! Most of the hair is a lot shorter, resulting in the thickest parts being from the top to the middle. 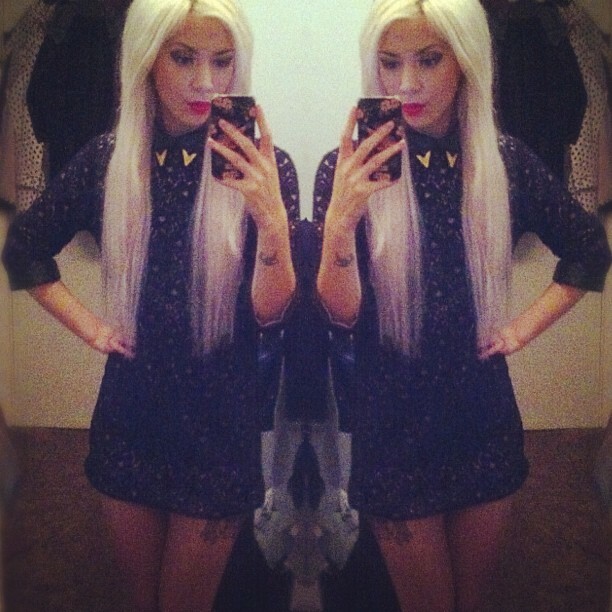 You can see on the left the colour didn't match my hair, and look how thin the extensions are! Below are my ones from Foxylocks.com, they are amazing! And matched my hair colour without me needing to do anything, and they are an amazing length too! Anyway, back to how I toned the cheap yellow ones! I applied Directions "white toner" straight on to the extensions and left for 15 minutes. I left one weft for an experiment though. I did end up using a whole tub, and as these extensions aren't even thick, I would advise if you were going to do this, buy several tubs incase! It would be so annoying to run out! For the weft I was experimenting with, I decided to see if I could tone it with just my silver shampoo. I filled up a sink with warm water and squirted in some of my silver shampoo, then mixed it around. I submerged the weft and swirled it around, leaving it for awhile, checking to see when it looked silvery, then rinsed. This worked surprisingly well! So I rinsed the wefts that had the directions toner in the sink of diluted silver shampoo, leaving them in until they looked silvery, and rinsed. 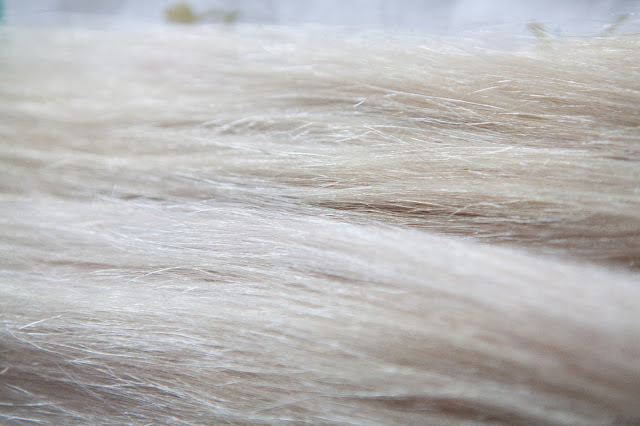 Results look so similar, top weft is with just the shampoo, bottom one you can tell it is slightly silvery and has a touch of purple from the toner. 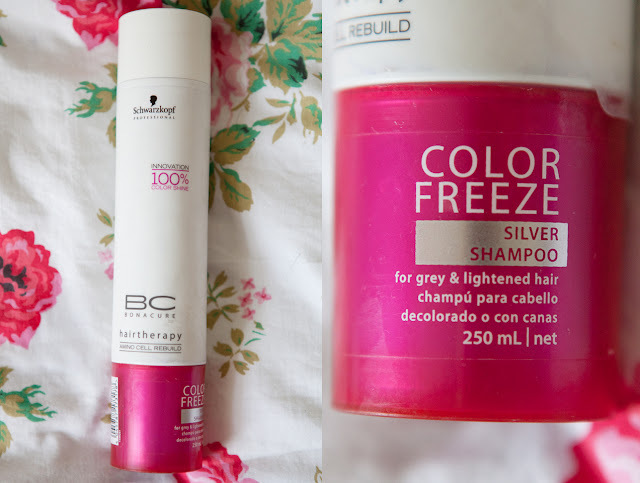 But you can hardly really tell much difference between them, so it saves time just toning with just a silver shampoo! 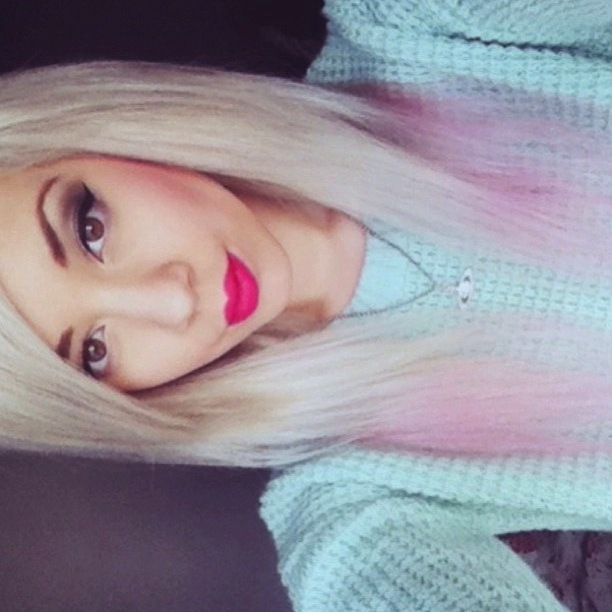 I still had pink semi-permanent hair dye from last summer when I had pastel pink hair, so I just used the same one. I used Flamingo pink by Directions, I got a really strong pink so I could dilute it with lots of conditioner, meaning the pots would last ages! I had tried using Manic Panic's cotton candy pink before and diluting that a bit, but I used it up fast! This one has lasted SO LONG! In a bowl I added lots and lots of white conditioner, just a Tresemme one, doesn't have to be a specific one, just needs to be white! I added a small amount of the dye as it is very pigmented, and mixed thoroughly. I laid the wefts on top of some tin foil on a table. Then just below where I wanted the colour to start, I applied the diluted colour on to the hair, all the way down to the ends. Next I blended the starting line of colour with the brush, pulling the dye up so there wouldn't be a harsh line. I added more dye to the diluted mixture, and brushed on half way between the start of the pink and the ends of their hair, applying all the way down. I repeated adding more dye, this time just applying on the ends. I left this for around 20 minutes, then rinsed out the dye thoroughly. I always hear you aren't meant to dry you extensions and usually I don't, I let them dry over night naturally, but I didn't really mind blow drying these ones as they were cheap and this was all an experiment, also I couldn't wait to see how they came out! I think I got a pretty good gradient! 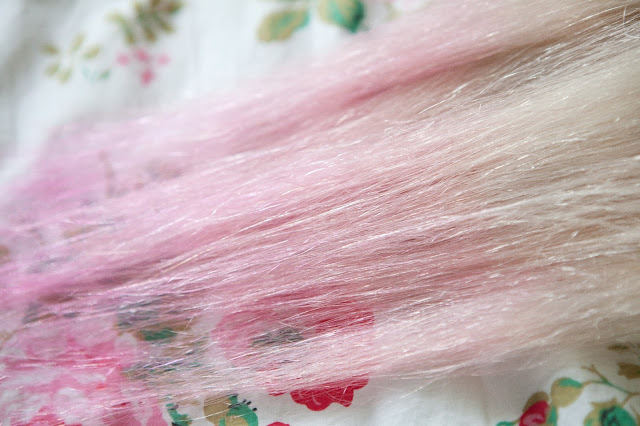 Here are all the wefts together, not thick at all! And here's an instagram pic of them in my hair. Let me know your thoughts guys! Feel free to ask any questions in the comments. On instagram Regal Rose said this was one of their items which was going in their sale for only £7! So I just had to have one! You couldn't pick which colour you wanted, but luckily I love this one :D Slowly building a Regal Rose collection! I just love collar tips! But I am rather a fussy one when it comes to them, so I don't own many. Had to have these beauties though, they were an absolute steal at £1.50! They do up and undo with a screw, they are pretty heavy so I am intrigued with how they will sit on collars, something I've yet to actually try with these. I never actually noticed that Primark has sales, their stuff is so cheap as it is, so to see a sale is even more amazing! This was only £7, I rolled up the sleeves to show the black lining and so they sit at a three quarter length height. 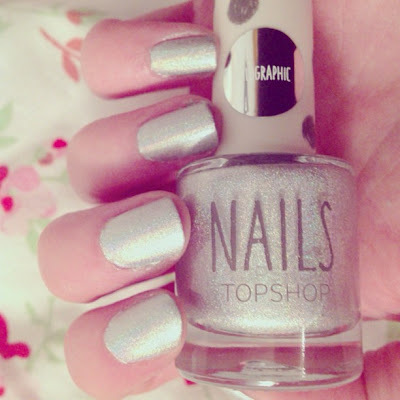 Eyed up one similar recently in New Look, so was happy I got one so cheap in Primark! This would look lovely over a dress on chilly spring or summer days. Cannot wait for the weather to get warmer, I have been shopping for warmer weather recently! Thought this was so amazing for Primark! Absolutely love this print! Had seen something similar in Topshop several months ago, but I wasn't a fan of its cut out shoulders, so had to snap this up when I saw it! Careful with the buttons, I lost 3 the first time I wore it! 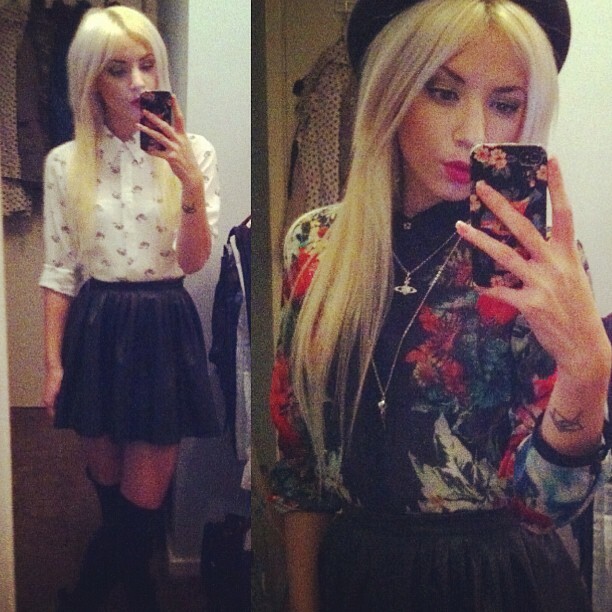 I own so many shirts now, I think they are my wardrobe staple! I love them tucked into disco or riding pants and peaking out of a jumper added ontop. 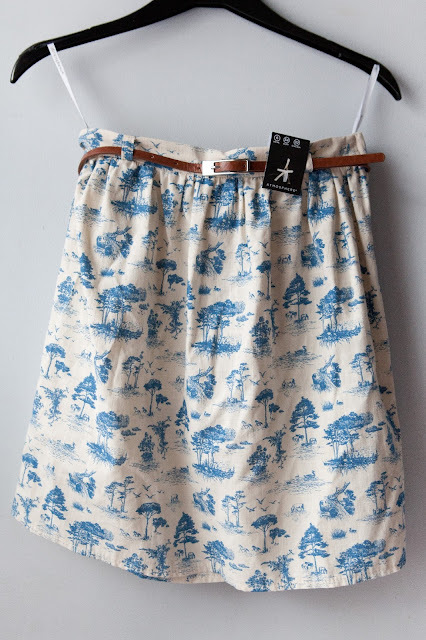 Thought this skirt was super cute, and the little belt that comes with it is nice too. Fit is comfortable and flattering, I'm slowly getting more skirts like this, usually I'm more of a bodycon skirt kinda gal, but I think that is changing! I decided I wanted to invest in some American Apparel thigh highs as ones my friends have purchased from other places just haven't stayed up! 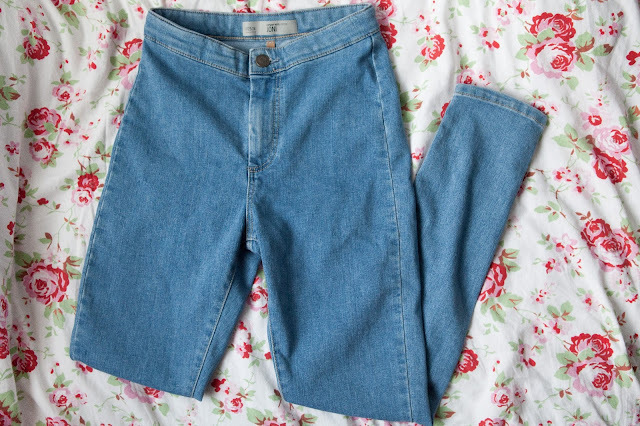 These are so cosy and a comfortable fit, super long, coming right up to the top of my legs so I roll them down a bit. They actually stay up!! Cannot wait for it to get a bit warmer so I can wear shorts and skirts, with these socks too! 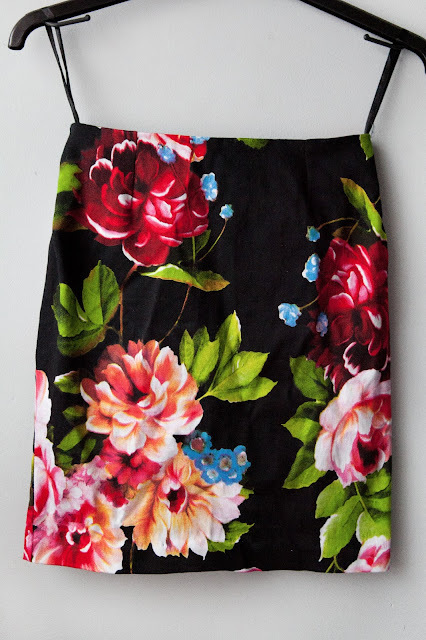 Usually I wouldn't buy something like this skirt, but I've seen so many wonderful outfits that I love on instagram that I had to get one myself! 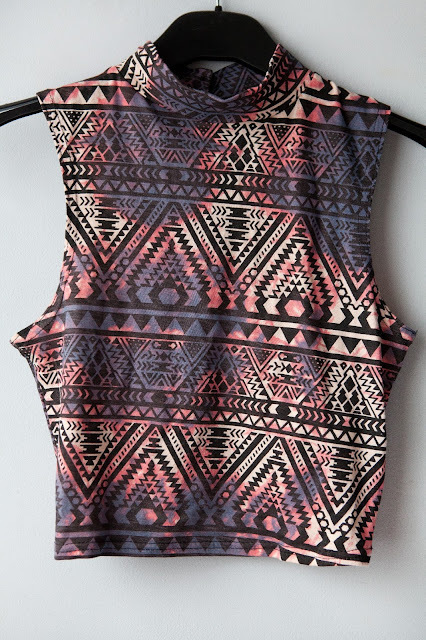 It's fit is perfect, it's shape is amazing, I cannot wait to wear it all summer with vests, crop tops, shirts, everything! I've been looking for a denim jacket for 6 months or so, but hadn't had any luck with finding one I really liked. I decided to pop into New Look one late night shopping night after work and found this. Really light weight, thought it would be perfect to throw on for S/S. Smallest size left in store was a UK10, but I didn't mind the relaxed over sized look, I preferred that actually. 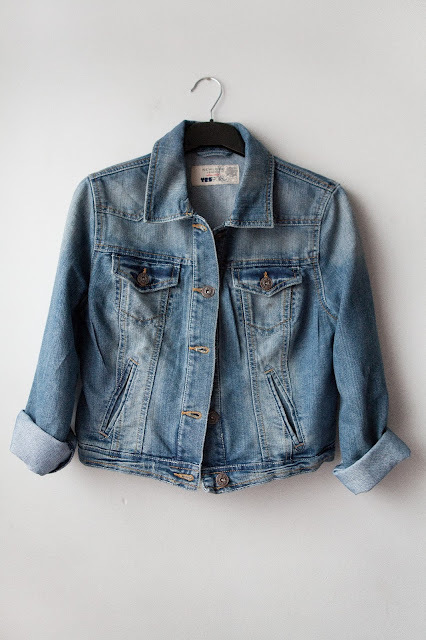 At some point I would love to get a Levi jacket, until then, this is perfect. 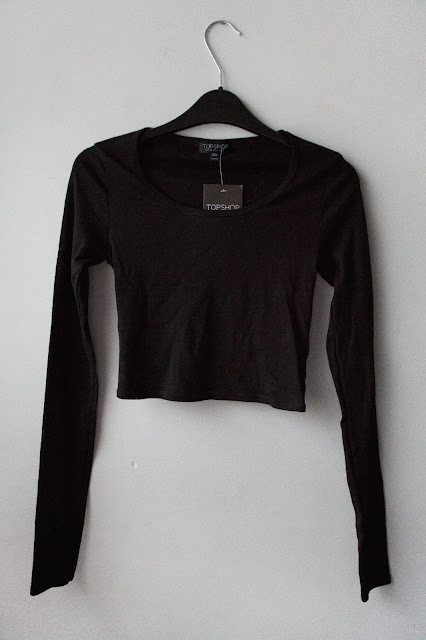 I now have 4 turtle neck crop tops, I just love them! 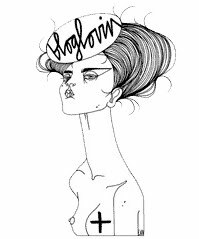 So flattering and I love their retro look. The fit of this is so comfortable, not too tight, but still figure hugging. 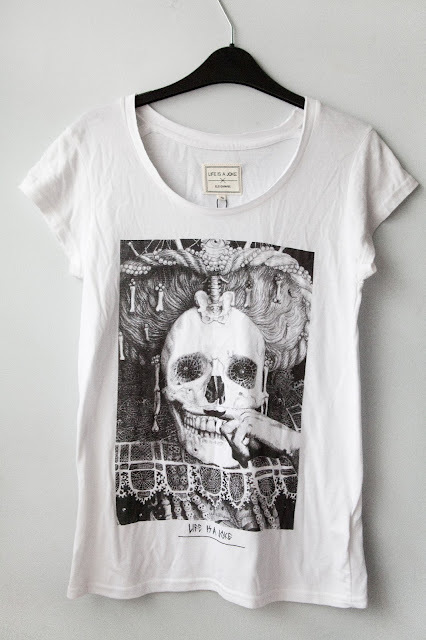 I prefer the fit of this over my Topshop one I have actually. Soooo this cute little crop top started my impulse shop at Topshop, I loved my Mickey crop top so much and this looked the same style, and I thought, well I NEED some colourful clothes as all I've been wearing recently is monochrome, and not to follow the trend, that's just what accidentally has happened. The sleeves on this are long! Personally I like them rolled up like how I have pictured it, I love this colour too! Worn this sooo much recently, having to be more careful with it though as I'm pulling threads already! 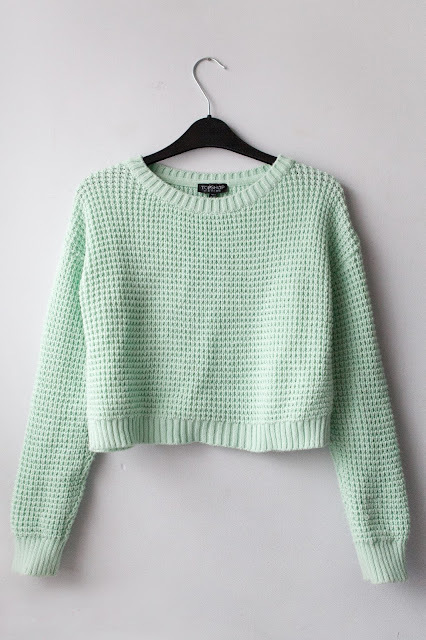 I might possibly get this in more colours if any take my fancy, one day I hope to be able to knit one for myself! 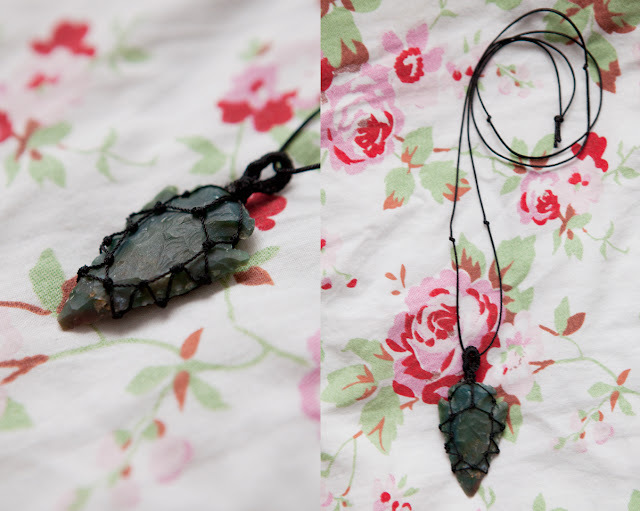 This really surprised me, it looks so lovely on! 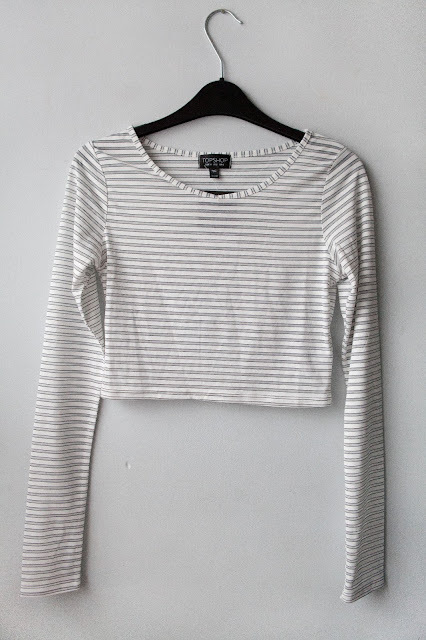 Something that American Apparel might stock, but at a fraction of the price! I love the attention to detail, with sheer lines running across alternating with thin dark lines and white thicker lines. 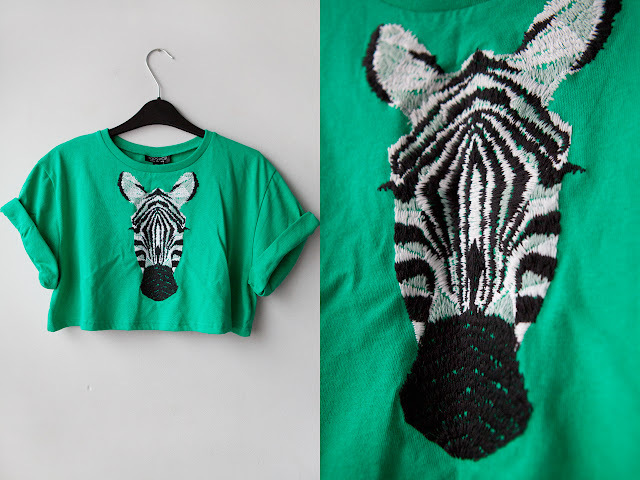 I think I am all set for crop tops now, I seem to have so many in my wardrobe! It needs to get warmer so I can wear them! I got a size 8 in this as weirdly the size 6 didn't fit as comfortably and it's arms were longer?! A bit bizarre, lucky I tried on both sizes! 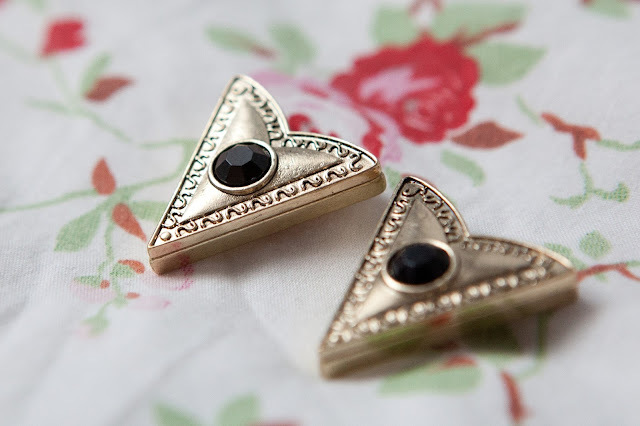 A great staple item to any wardrobe, can be dressed up or down, and worn from day to night. I LOVE JONI JEANS! I need to do a blog post about them! I have all the pictures done of these and the black ones on me, I will compare them against the American Apparel easy jeans as I own both, these are a great buy and cheaper than American Apparel ones, they do have their good and not so good points though, but I will go into those another time. 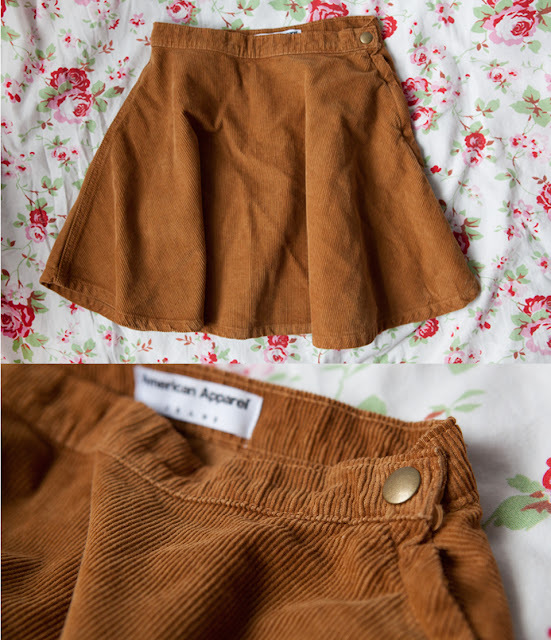 Simple staple skirt that every girl should have in their wardrobe, can be worn with crop tops, shirts, tee shirts, almost anything! I got mine in petite so it sat at a good length, I didn't want it too long as that might look a bit like a school skirt on me. 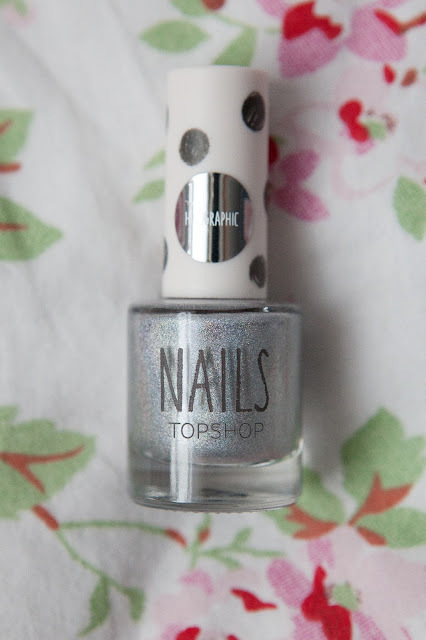 This has such a lovely colourful shine as it's holographic, I found that it came off really easily, chipping on the first day of wear, next time I'm definitely wearing a clear top coat over it! My second Eleven Paris tee, I love the Life Is A Joke series! I already have the Pharrel Williams one! Love the fit of these tops, they are quite long on me, so I always tuck them in to what ever I'm wearing on my bottom half. 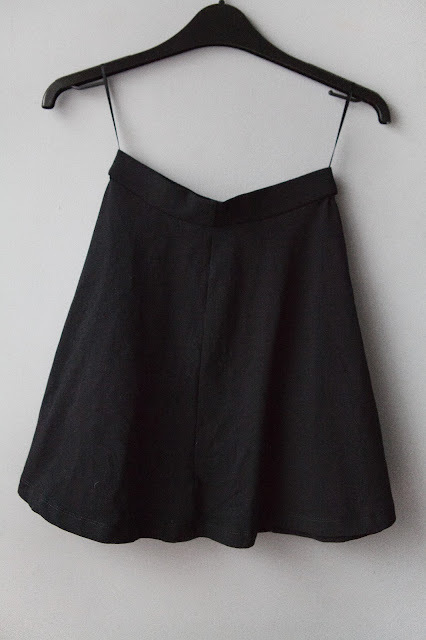 Bodycon skirts are my usual skirt of choice, so I had to get one too! Love the floral print, nice on the black background too. Fit of this is a little lose on me unfortunately, might get it taken in slightly so it's the preferred fit. Motel sizing is quite unusual, I've tried on dresses which I can barely get into as they are so tight, and I've worn others which look a little loose! Always try on motel rocks if you can! 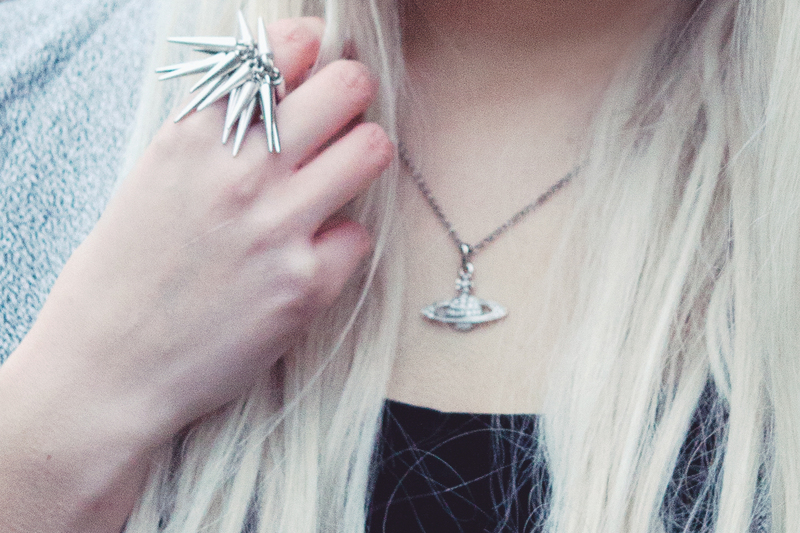 I was also trying to hunt these bad boys down on ebay, so was thrilled when I was gifted these from loveclothing! They are amazing! As I said in a previous blog post I actually prefer their shape over the big lita which these are dupes of. 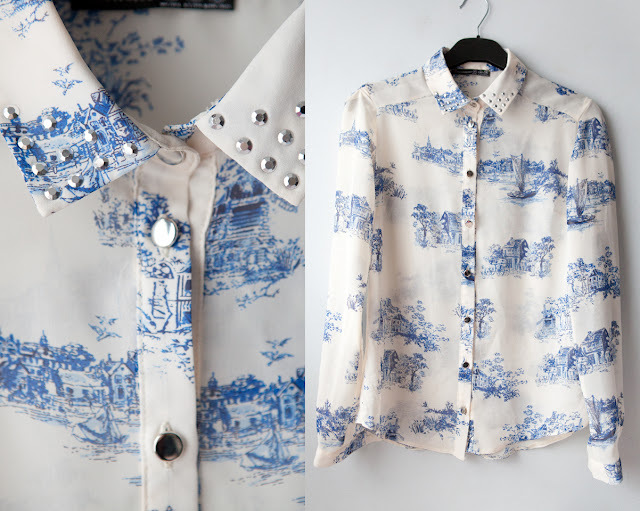 Not the first, and I'm sure not the last mens shirt I've got from loveclothing, I loved this as soon as I saw it! 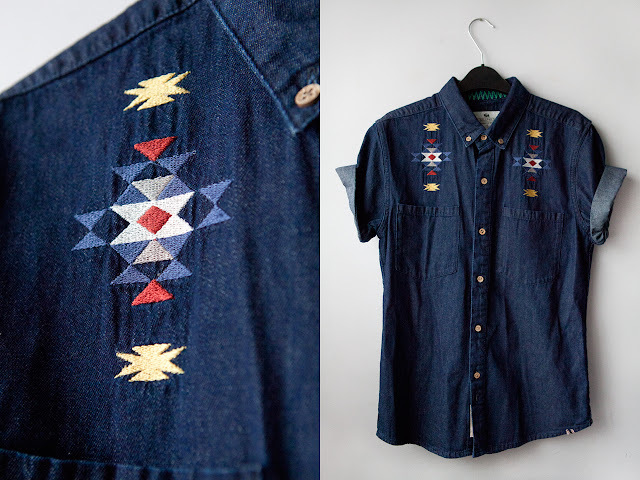 I just love the dark denim and the contrast detail of the aztec stitching. I have rolled up the sleeves as they come a little long on me. I prefer this tucked into disco pants for a more styled look. As I'm only going to wear it tucked in I will get it taken up so there is less material to have to tuck in and try and hide!